Parking Garage for 1 car. 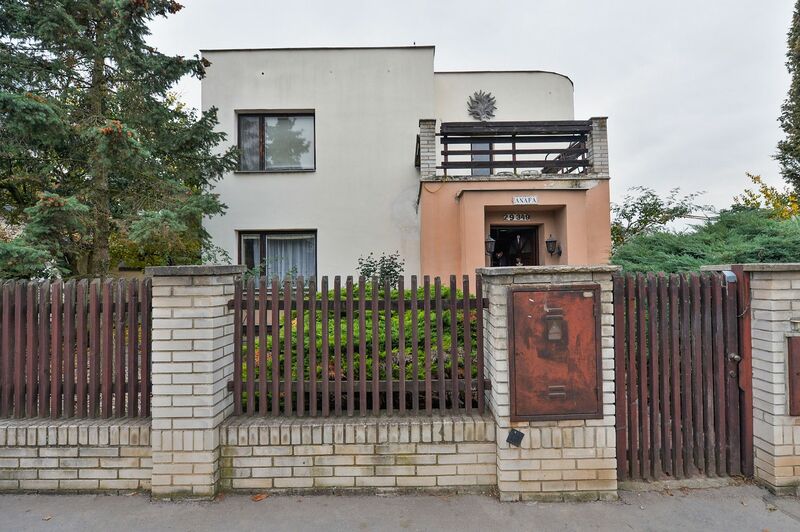 This timeless functionalist style family house is situated in a quiet residential section of the popular ​​Prague 6 district of Suchdol with complete urban amenities, beautiful surroundings, and easy transport accessibility. The ground floor consists of a living room with access to the garden terrace, a separate kitchen, a bedroom, a study, a bathroom, a toilet, a closet, a foyer, and a staircase hall. 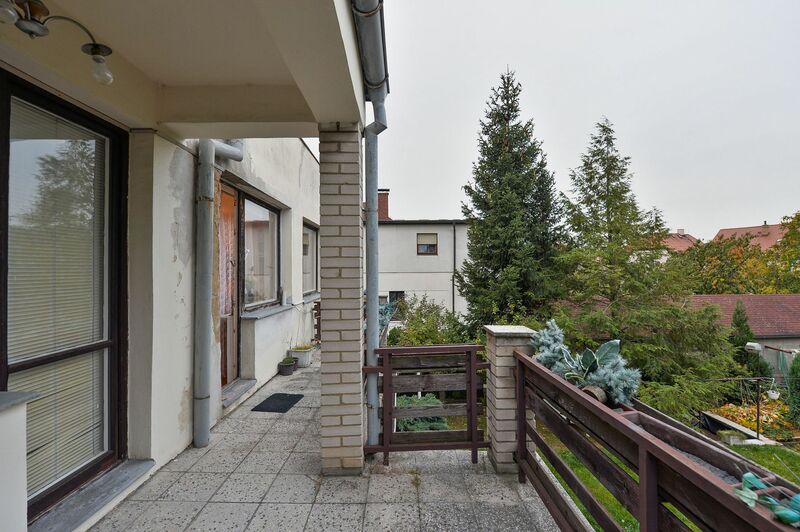 Upstairs, there are 3 bedrooms, a kitchen, a bathroom with a sauna, a hall, and a toilet. The gallery has access to the northeast-facing terrace, the second southwest-facing terrace oriented toward the garden is accessible from one of the rooms. 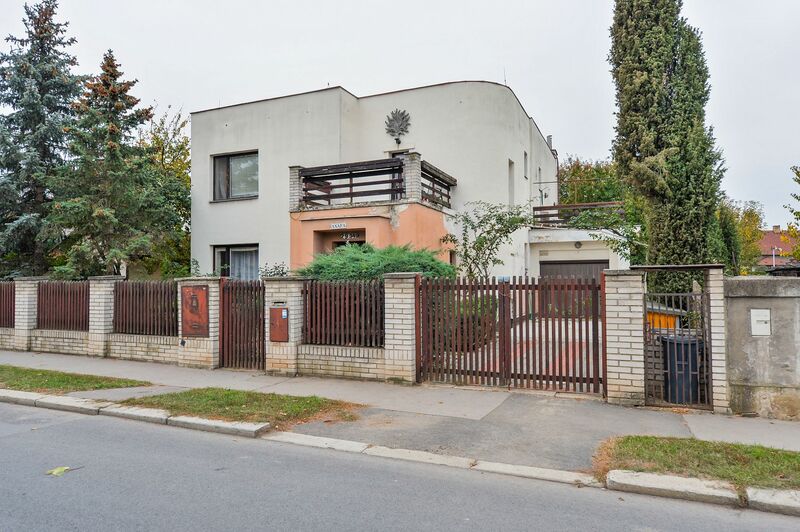 The house has a basement area and a storeroom accessible from the garage and the garden terrace. The house may be completely reconstructed. Features include a fireplace in the living room and an outdoor fireplace, preserved doors with brass handles, and parquet floors. On the plot, there is a garden house and a gazebo. Heating is by a gas boiler, the house is connected to the municipal sewerage system. Parking is available in the garage with direct access to the house. There are kindergartens, an elementary school, and sports grounds (tennis and beach volleyball courts, an indoor swimming pool, children's playgrounds, BMX tracks, etc.) in the area. There is also a high chool campus. Close to the house, there is a common garden with space for outdoor games. Nearby, there are cafes, restaurants, a pharmacy, a post office, grocery stores, and farmers' markets. A supermarket is within short driving distance. 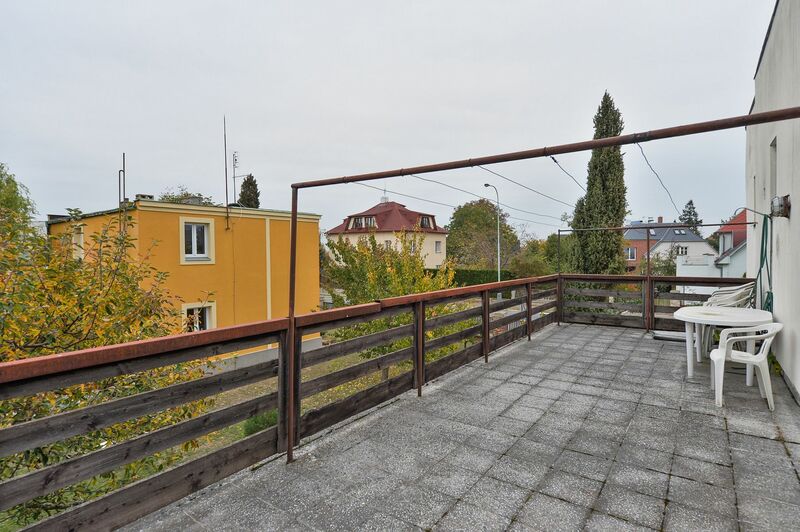 There is a bus stop with links to the Dejvická metro station (line A, 10 minutes) or to the tram stop and Podbaba train station (7 minutes) practically in front of the house. A tram line to Suchdol is planned. The place is conveniently located with easy access to the airport. The surrounding area offers a wide range of hiking destinations, such as the Sedlecké cliffs, the Roztocký Háj-Tiché údolí nature reserves, or the Kozí ridges. 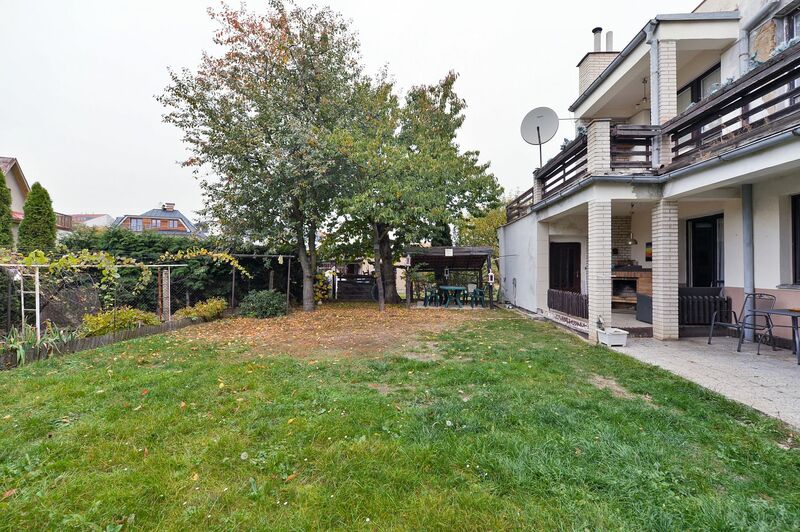 Usable area 279 m2, terraces total area 40.19 m2, garage 18.9 m2, built-up area 449 m2, garden 218 m2, plot 667 m2.